Property Info: 2 BR, 2 BA with 1497 sq. ft. Original Owner, never rented, rarely used, like new gulf-front Beach Colony condo overlooking the beautiful Gulf Coast. Includes: Built-In Microwave, Dishwasher, Disposal, Electric Stove, Oven/Cooktop, Refrigerator, Pool, Community Room, Elevator, Exercise Room, Gated Community, Hot Tub, Laundry, Pets Allowed, Tennis Court. Property Info: 3 BR, 3 BA with 1606 sq. ft.
Beautifuly decorated condominium home at Spanish Key! This property offers excellent views from this 6th floor. Fully furnished 3BR 3BA condo. Enjoy the coastal lifestyle and all the amenities at this popular complex - indoor pool, outdoor pool, spa, fitness room, and more. Property Info: 3 BR, 3 BA with 1928 sq. ft. Exceptional Beach Colony home - East building penthouse fully furnished with top-of-the-line furniture and decorations. West side penthouse condo with phenomenal west views overlooking the Gulf of Mexico. Great investment property or fantastic second home potential for you & your famly to enjoy the gulf coast lifestyle. 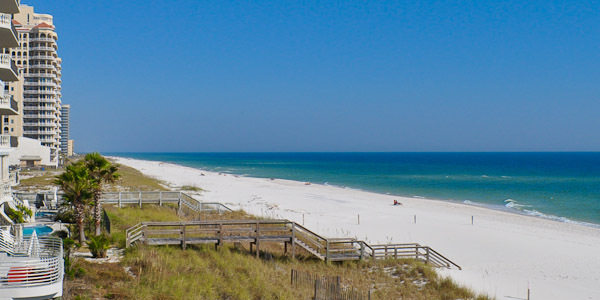 Seachase Condo For Sale in Orange Beach Alabama - Asking Price: $549,900 Property Info: 3 Bedroom, 2 Bath Beachfront Condo with 1500 + sq. ft. Address: 25174 Perdido Beach Blvd, Orange Beach, AL 36561 Enjoy the view of the gulf from the master bedroom, living area and large balcony. Fully appointed kitchen and an enclosed laundry area with full size washer and dryer..
Phoenix IX Condo For Sale in Orange Beach Alabama - Asking Price: $899,000 - Property Info: 3 Bedroom, 3.5 Bath Beachfront Condominium with 2300+ sq. ft. Address: 29488 Perdido Beach Blvd, Orange Beach, AL 36561 This Unit Is Completely Turn-Key Ready With Upgrades At Every Corner, And Views From Every Room. Stainless Appliances, Granite Counters, Custom Cabinets, And New Furniture.